Eric Gales is regarded by the many of the best as being among the truly great guitarists in the world. And his prowess goes much deeper than techniques, tone or tricks. He’s the kind of musician who, as Premier Guitar wrote, “feels the music, serves it back, and we absorb every note.” His music truly is a reflection of his life’s journey from child prodigy in a noted musical family, to drug-addled convict, to where he is now – clean, sober and re-claiming his reputation as one of the most gifted and expressive guitarists in the blues, or any genre. JAZZ CLINIC: Eric Gales will bring his story of success, tragedy, downfall and redemption to the Norman Public Library for Jazz In June’s first clinic of 2018. A child guitar prodigy from an extremely talented and well-known musical family, Eric Gales was on a sure path to stardom well before he even entered adulthood. But even the most seemingly gifted among us can self-destruct. 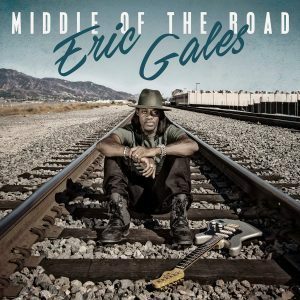 In this presentation, Gales will offer lessons in life and on guitar in a clinic we’re calling “Eric Gales: A Guitar Prodigy’s Tales”. Thursday, June 14th from 2-3:30pm.